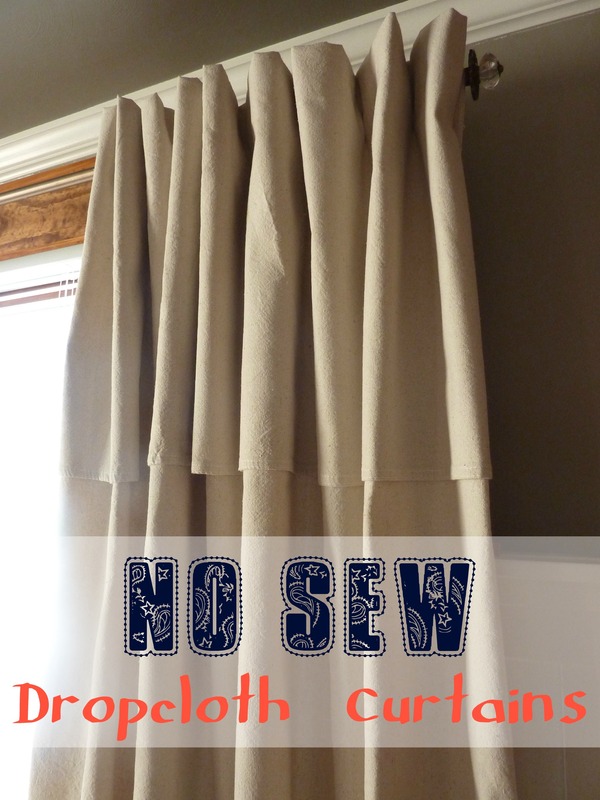 This may be unprecedented here on the old blog, but I recently completed a project that did not involve paint in an aerosol can (like here and here). However, dearest spray paint lovers, do not fear! There is undoubtedly more to come. I know this with certainty, since I have at least 2 more projects of that nature coming your way soon. When I like something, I tend to go overboard. It’s always been that way. My apologies to my husband. This is how far I got before the motivation train left the station back in ’11. Picture another coordinating stocking completed to the same stage, but red. I started this one Christmassy afternoon last year by drawing up a template on some newspaper. 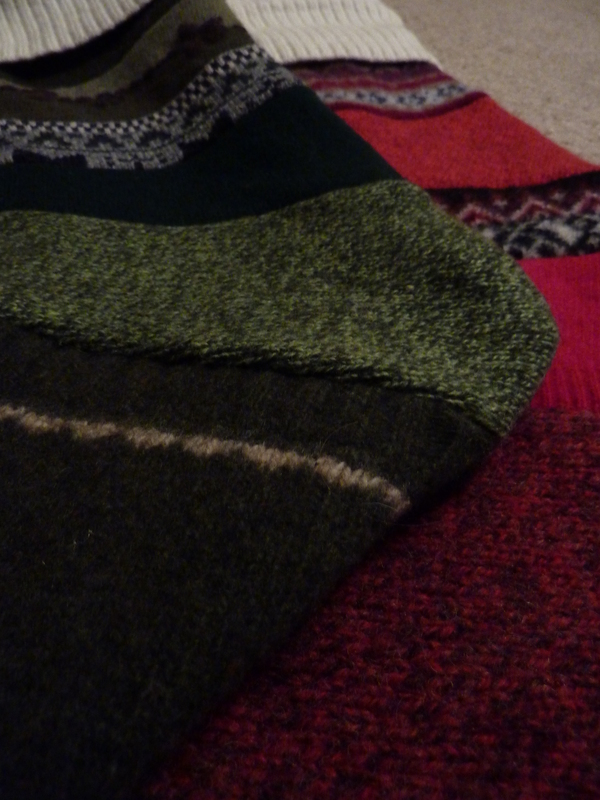 I then used scraps of old wool sweaters to create a large blob of sweater pieces sewn together, upon which I placed said template and trimmed it up. I cut out a larger piece of sweater for the backside of the stocking and created an inner lining with some other weird scratchy fabric. I should pause to mention that I got the idea for the stockings from a pair that our dear friends Dan and Grace have. 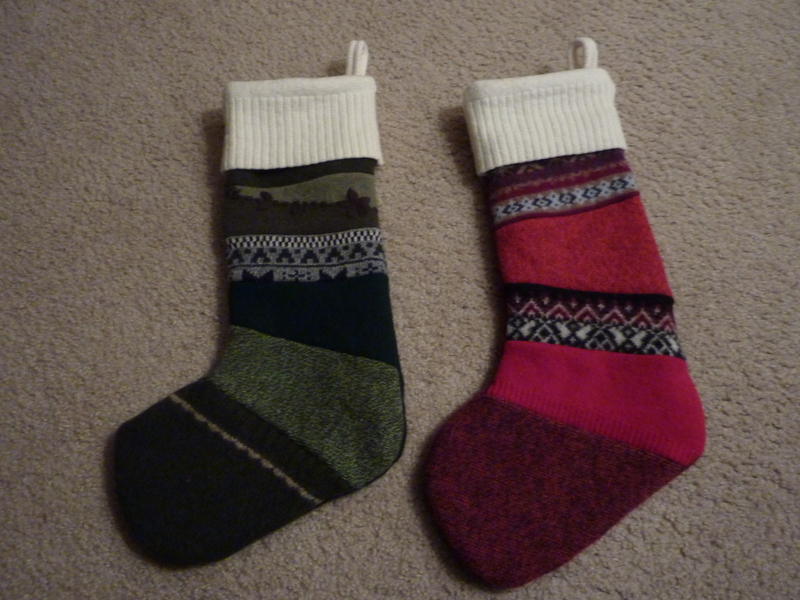 Their stockings were lovingly made by Grace’s mom, who makes gorgeous things out of wool sweaters. I can only aspire to some day have half her talent. At the time that I began the stockings, I was blogging about 0% of my projects on average, which meant two things: 1) no pictures, and 2) no accountability to finish. Bad stuff, I know. But since I have only the best blog readers who are very imaginative and forgiving folk, these two things are of no consequence. Fast forward to November 2012, when I finally gathered up the energy to drag this project out of the closet again. 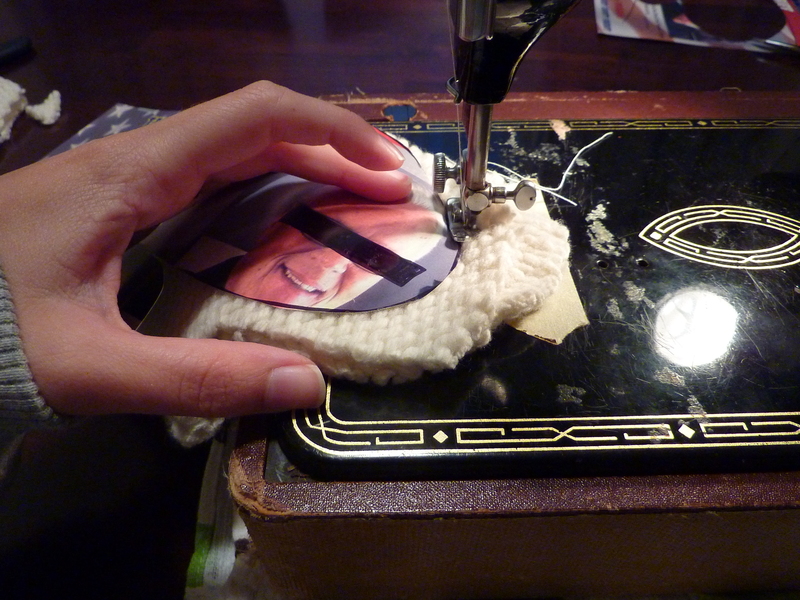 So I cut myself a cuff and stuffed it in the stocking and began to sew. Or rather, I tried. My 1950’s sewing machine has issues, as we all know, and could not even muster up the energy to execute a single successful stitch. The above picture is fake. Instead, I took my stockings over to my Grandma’s house, which is a treasure trove of sewing machines. After breaking 7 needles (wish I were joking…sorry, Grandma! 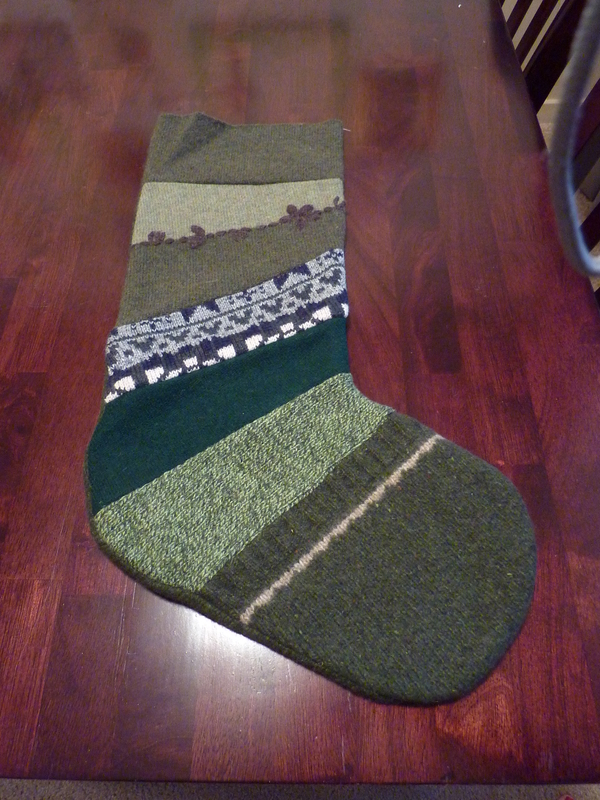 ), I had 2 completed stockings. Sort of. See the difference between these stockings and the one mentioned above? If you answered “these stocking toes are pointing left! The picture above shows the stocking pointing to the right!,” you are correct. Long story short: last winter I began 2 pairs of stockings and in fact did double the amount of work listed above. Including cuffage. I would like to point out that this seemingly insignificant statistic actually works in my favor: instead of breaking 7 needles on 2 stockings (an average of 3.5 needles apiece), I broke 7 needles on 4 stockings, a mere 1.75 needles apiece. 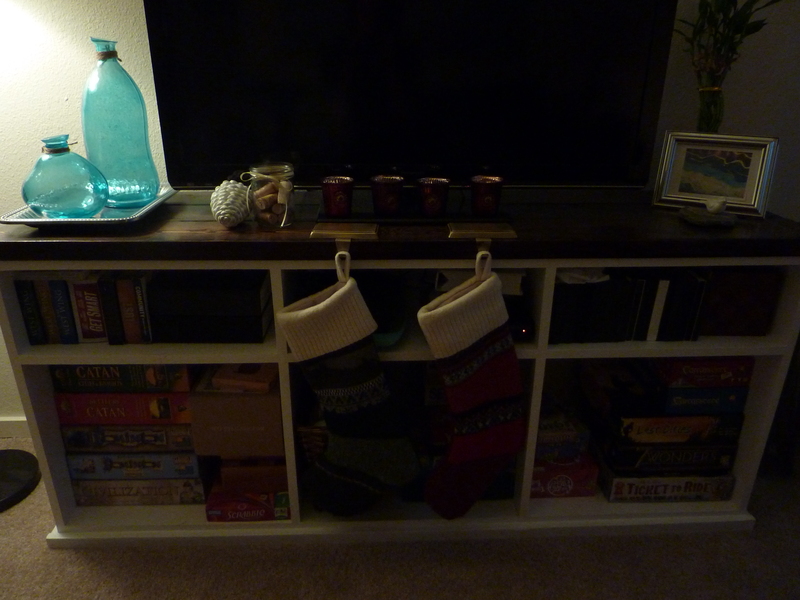 We hung these on our TV stand, since we are a no-fireplace family at this time. And of course I took the picture late at night–it’s what my blog readers have come to expect from me. I have a reputation to uphold. If you squint really hard into the darkness, you can see that the stockings are there. I promise. But come on over in person to see them! We’d love to have you. And between our visitors and being the star of this blog post, that’s probably all the action these stockings will see. We have bigger things to save up for, after all! On another unrelated note: if you’re at all like me and like free things and reading, check out this post from awhile back on the Tyndale Rewards program. I’ve gotten several free books this way and it is SO EASY to get your first book! On another more related note: I’m linking up here! Sheesh, will the post ever end? NOPE! I’m also linking up to Censational Girl! Categories: Christmas, DIY, Home Decor | Tags: Christmas, cuff, sew, Sewing machine, stocking, Sweater, upcycle, wool | Permalink. I like to think of myself as crafty and resourceful, good at repurposing items for whatever I need or want. But lately I’ve been having to rethink my whole crafting identity. It all began with thrifted sweaters. (Yes, there were two.) 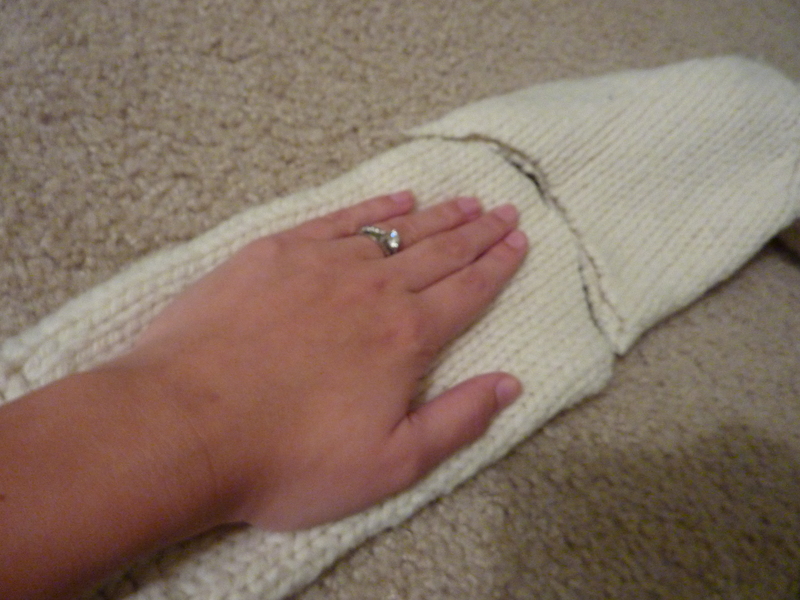 I used the first for this sweater pillow and these leg warmers with moderate success. 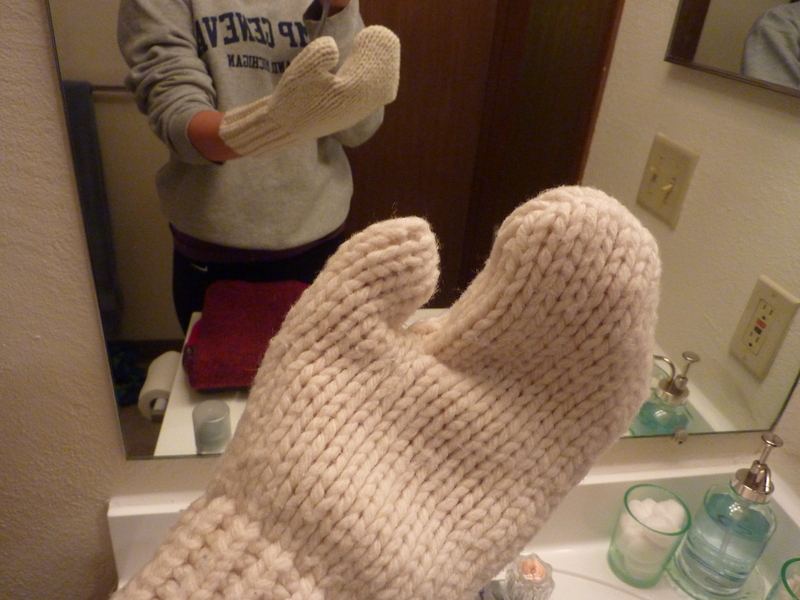 All that success went to my head, though, and I became a little too confident and decided to make myself a pair of mittens. Part of the irony of this post is that I (along with my Grandma D) have cut and sewed and sold HUNDREDS of pairs of mittens out of sweaters (the kind with the 3-part pattern and a cuff) over the past few years. But I decided to deviate from our normal pattern and go with something a little different. “It will be easier,” I thought. “They will be cute,” I thought. “It could revolutionize the way I live my life,” I thought. WRONG. I was so, so wrong. Here’s the story, in pictures (and some words, because hey, I’m a writer). I took the sleeves of the sweater and cut them off. I then repurposed a political flyer and created a pattern for my hand. 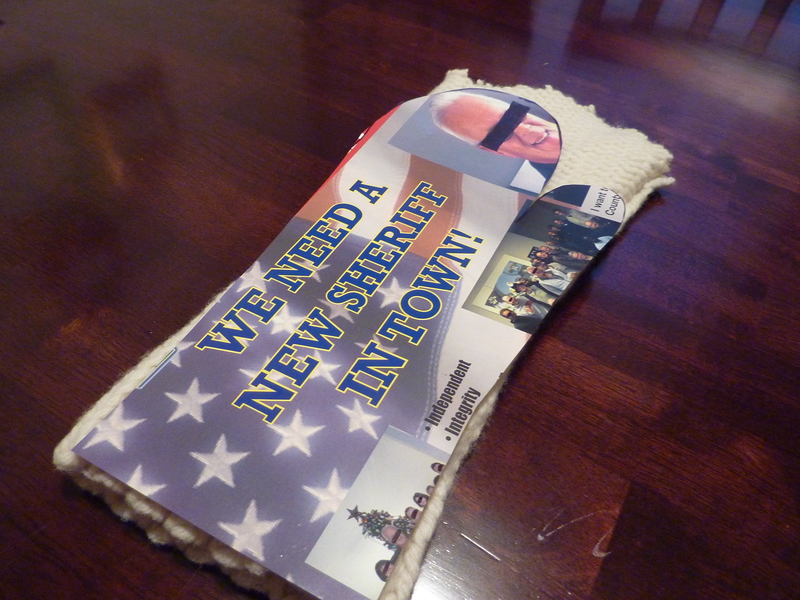 I censored the guy because this blog is not about politics and I didn’t want to hurt his feelings in case he saw what I did with his nice mailing. I also thought this could make a nice blog post title. 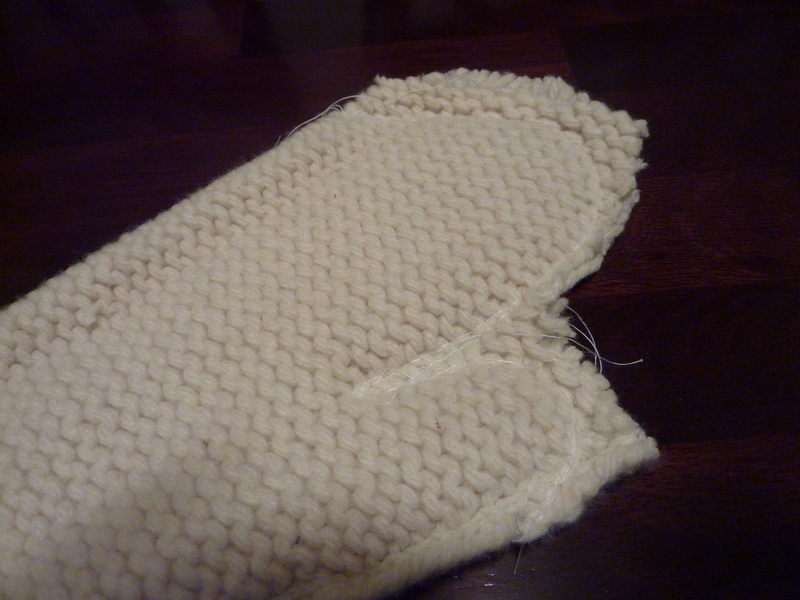 “Mitten Tutorial: In which I propose an alternate use for mailed political flyers.” I have begun to put way to much thought into these titles. 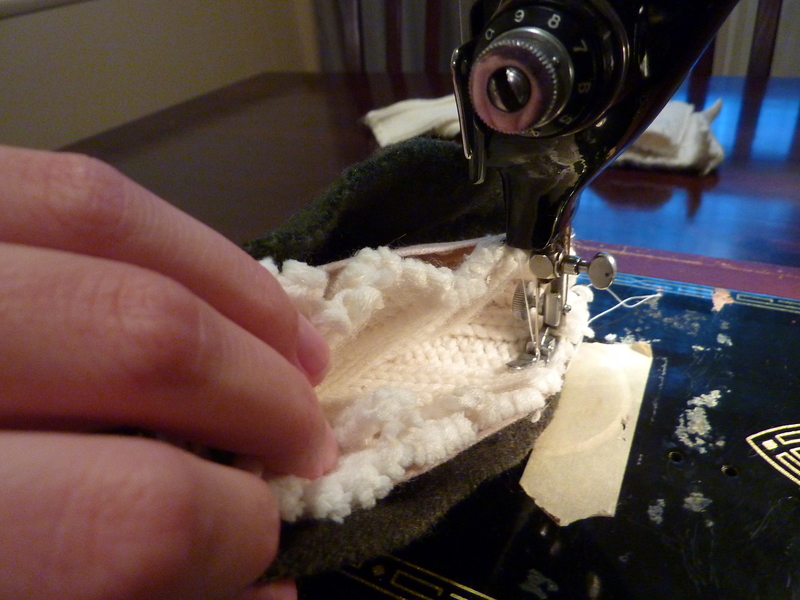 I then began to sew, oblivious to what was to come. Things were looking good at this point. 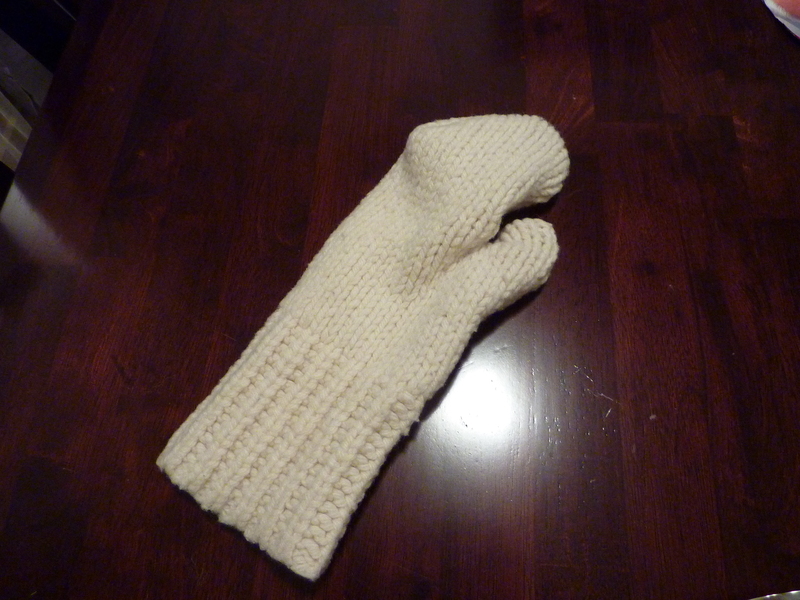 In my mind, it closely resembles a mitten. I’m not sure what it looks like, but it is definitely not something I would wear in public (which is, of course, the mark of a successful craft). So, yeah. Back to the drawing board on this one. I might blame it on a number of things, like the chunkyness of the sweater or my ancient sewing machine, but it really is because I do not have the proper skills nor motivation to tweak this into something wearable at this point. Lesson learned. I need to stop the sweater madness. Or at least spend more time on making a successful end result. Please tell me someone else has heard of this book? At least this book is really cute, even if my mitten is… slightly less cute. 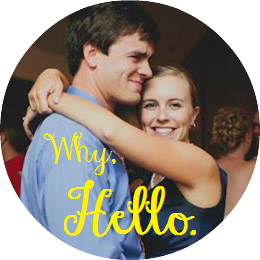 Categories: Book Reviews, DIY | Tags: Craft, mitten, Reuse, sewing, Sweater, sweater upcycle | Permalink.